This is a beautiful and contemporary deck. 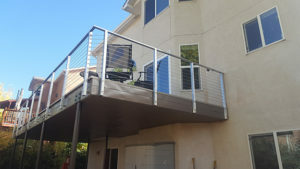 The owners specifically requested and aluminum deck. 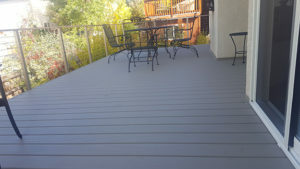 We install Last Deck series 200 that allowed us to have the area below the deck remain dry. 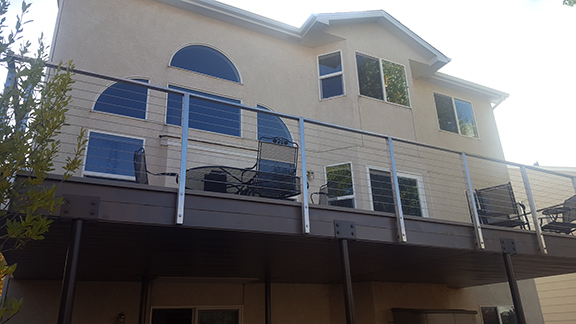 We installed stainless steel and cable railing, and aluminum soffit below the deck. This is the epitome of a maintenance free deck.